Stadionul Steaua, also known as Ghencea, officially opened on 9 April 1974 with a friendly match between Steaua and OFK Belgrade (2-2). The stadium was the first large football-specific stadium that opened in Romania. 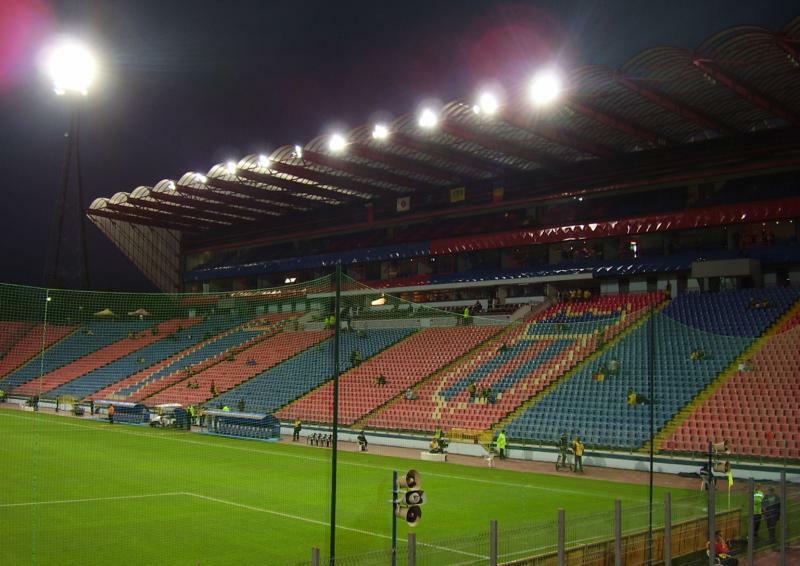 Stadionul Steaua underwent a large renovation in 1996, which included a refurbishment of the interiors and the installation of proper seats on the stands. It underwent a further minor renovation in 2006 to make it eligible to host Champions League matches. 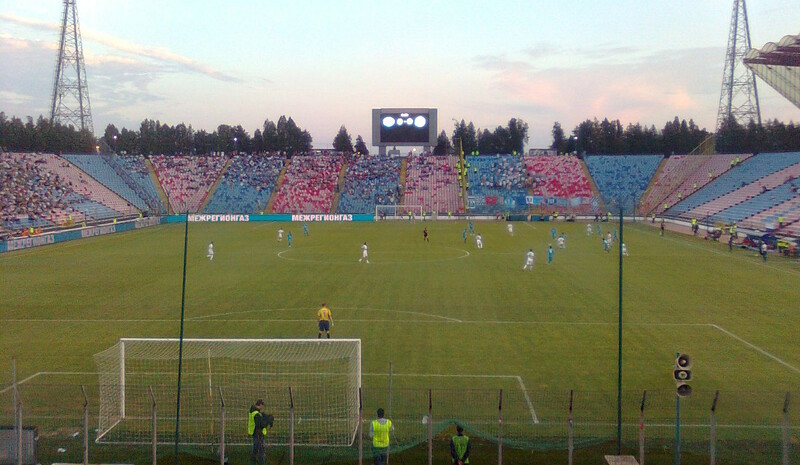 The stadium has traditionally been the home of Steaua Bucharest, but following the opening of the new Arena Nationala in 2011 the club decided to play their important home games at the stadium. 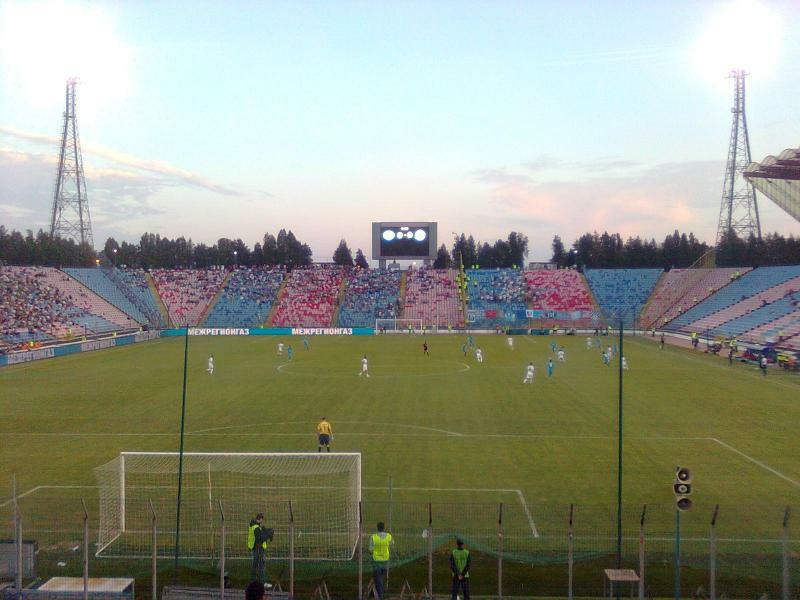 In 2015, they decided to play all other games at the Arena Nationala too, though they may at times be forced back to Stadionul Steaua due to scheduling conflicts. The stadium was also a regular playing venue of the Romanian national team until the opening of the Arena Nationala. Stadionul Steaua is located in the south-west of Bucharest in the Ghencea district. The stadium lies about 5 kilometres from Bucharest’s city centre and almost 6 kilometres from Bucharest’s main rail station (Gara de Nord). The stadium is best reached by tram. Tram 47 departs from the large Piața Unirii square in the city centre. Take the tram in the direction of Ghencea and get off at the end of the line. From there walk a few minutes further up the road to get to the stadium. From the centre one can also take trolleybus 69 or 90, for example from metro stop Universitate. Take the bus in the direction of Valea Argesului and get off at stop Drumetul (on Bulevardul 1 Mai). From there it is a short walk south to reach the stadium. From the Gara de Nord one can catch trolleybus 93. Take the bus in the direction of Valea Argesului and get off at stop Drumetul. Regular bus 105 is an alternative. Take the bus toward Valea Oltului and get off at stop Brasov. There are also regular buses that connect the centre with the stadium. Bus 126, for example, can be taken from metro stop Piața Romana or Eroilor. Take the bus to its last stop Ghencea. Bus 385 can be boarded at several places in the centre (e.g. Piața Unirii or metro Izvor). Take the bus in the direction of Valea Oltului and get off right in front of the stadium at stop Ghencea (or the stop after). From the 2015-16 season, Steaua play all their home games at the Arena Nationala. Steauafc.com – Official website of FC Steaua București.